Love him or loathe him, Liam Neeson is the King of Comebacks. It doesn’t matter if he’s a commuter on a train or minding his own business he always gets the bad guy and usually avoids death – He is immortal and just never dies, the internet testimony of this through countless Taken memes, which has seen the actors popularity surge. Well, he’s back in one hell of an excellent thriller that is steeped in black humour a la Cohen Brothers with an intelligent script that isn’t afraid to take itself seriously. The film sees protagonist (Nel Coxman) Neeson exchanges his gun for a snow plow to fight the local drug cartel, its not hard to understand the baddies will be coming off second best to Mr Neeson and his metal juggernaut of a beast – it’s a hoot. Neeson’s character is dour, as you would expect from a Snow Plow driver and his marriage to his wife (played by the talented Laura Dern) is somewhat jaundiced. 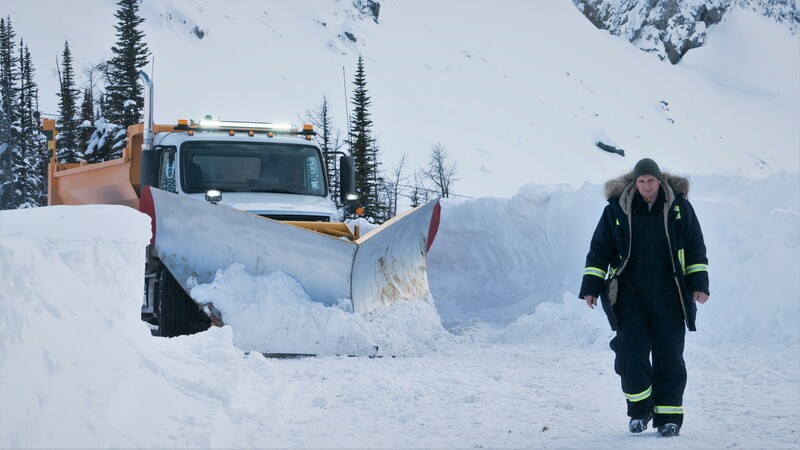 Things come unstuck when the local Rocky Mountain drugs cartel, headed up head honcho Viking (Tom Bateman) kill his son Kyle (Michael Richardson Neeson’s real life son), which riles up Mr Plow into Action Gear. Don’t even get me started on the local Native Americans who run Kehoe or the subtle ‘gay kiss’ featured in the movie. You’ll just have to wait and see. This is probably the only Liam Neeson film I’ve actually honestly enjoyed. From start to finish Moland has crafted a film has given the ‘Neeson’ a complete overhaul, a radical departure from his previous heroic formula and one, I have to say, is refreshing. It’s subtle irony was not lost on this reviewer. Laura Dern’s brief appearance is noticeable but she is convincing as the grieving mother. Baddie Englishman Tom Bateman (The Tunnel) is fantastic as Drug Lord Viking. His arrogance and complete disdain for sugar or junk food, and hilarious one liners didn’t go unnoticed. Great to see him step up with this role, he’s not violent but is quite the dastardly villain.